LIMIT4 is the new HI MOTIONS manual barrier, perfect for installation in places where movement is fairly limited and where connection to the mains is not available. The new barrier is suitable for passageways of up to 4 m and features an attractive, linear, compact design, thanks also to precise manufacturing choices. In particular the internal counterweight (placed at the end of the barrier support) gives it an elegant appearance by minimising its dimensions. 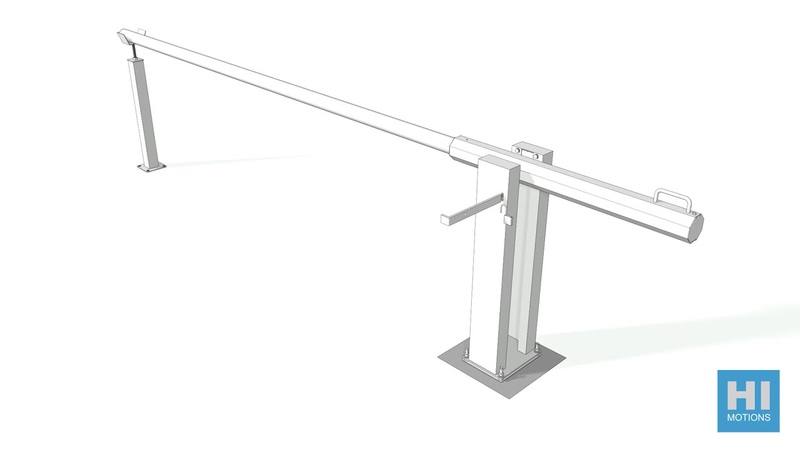 Equipped with an internal lever mechanism for blocking the bar during opening and closing, LIMIT4 is simple and easy to install and is available in stainless steel or painted steel versions.